This project has a special place in my heart because I truly believe the message that I recorded. I tell my kids all the time that they can choose to be happy or choose to be _____ (mad, sad, angry) depending on the situation. 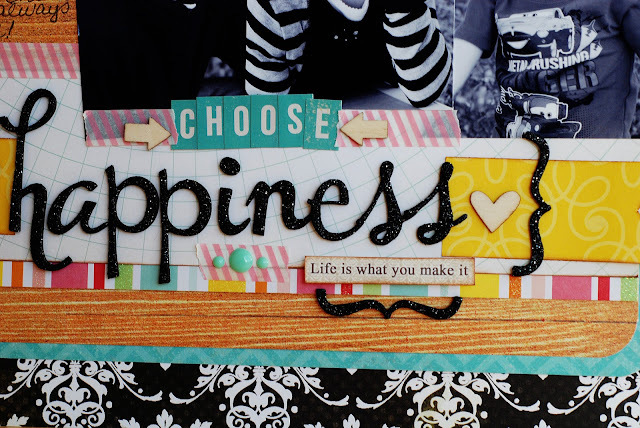 Life isn't always a fun party BUT even when things are rough you can choose to be happy! I actually blogged on this topic before. If you're interested in reading more about it you can find that post here. This banner is from Pebbles. This project was featured in the Color combinations section of the magazine. 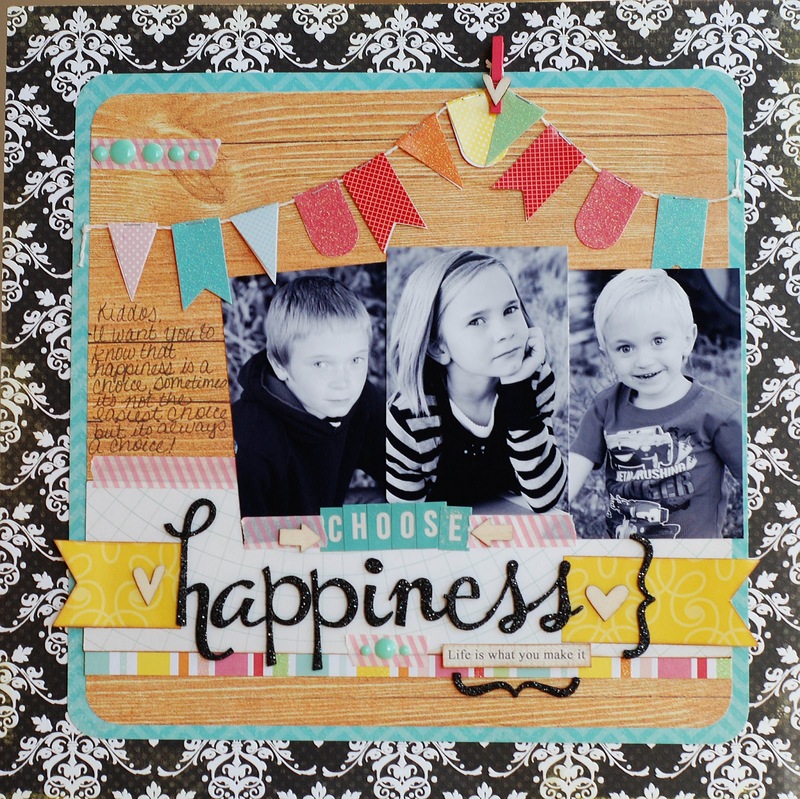 I chose this bold color pattern so that this layout would stand out in my kid's albums. Thanks Andrea! I'm so passionate about the message. 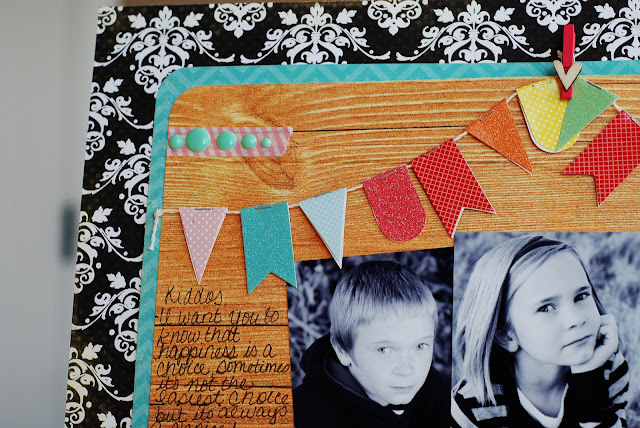 I defiantly wanted a project that would stand out in my kiddos albums.